Yesterday, we celebrated and rejoiced in the truth the Jesus Christ has been resurrected from the dead and still lives. This is a key teaching and cornerstone to the Christian Faith. It was a great time in worship. How do you celebrate the Risen Lord? What brought you to a place of belief? None of these reactions are wrong, they are just different. But these also show us how we react to people and news today. It is easier to make a quick judgement and decision without ever trying to figure out the entire story. Adults teach this to children; yet we, as adults, still make snap/quick judgements on people, news, circumstances, etc. without ever trying to figure out the whole truth of what happened, what was said. There are others who get quick snippets of the situation and come to their own conclusions, whether or not it is the whole truth. Then, there are those who take time to investigate and try to understand wholeheartedly. I believe it is important to have all of these traits and reactions. We should quickly look to see what happened. Then we should glance in to get more information. Finally, we should investigate and examine what is presented to get to the core of the truth. One of my favorite stories about Mother Teresa is when she teaches someone searching for her about trust versus clarity. “John Kavanaugh, the noted and famous ethicist, went to Calcutta, he was seeking Mother Teresa … and more. He went for three months to work at “the house of the dying” to find out how best he could spend the rest of his life. I hope and pray you do. Jesus is alive! Alleluia! This is the beginning of April and Easter is just a few days away. Each month, I have been reading one of Paul’s letters in their entirety each day and then journaling about a few verses. This has been an awesome tool for spiritual growth. Not only do I have the opportunity to see the whole letter, but I also have been looking at shorter passages within the letter and seeing how it fits in with the whole context. I have learned, even more, how easy it is to take verses and ideas out of context and fit into what we want them to say instead of viewing them in the light of the entire work and historical context. Before we jump into Colossians this month, I wanted to follow Paul’s example and offer you a word of grace. We have been on this 40 day journey through the season of Lent. This journey can bring up many feelings or attitudes and we can begin to feel like we are in the desert. When we begin to feel this way, we notice we become more distant from others, our temper has a shorter fuse, our frustration level and pet peeves begin to rise more. We simply forget that we are not alone. 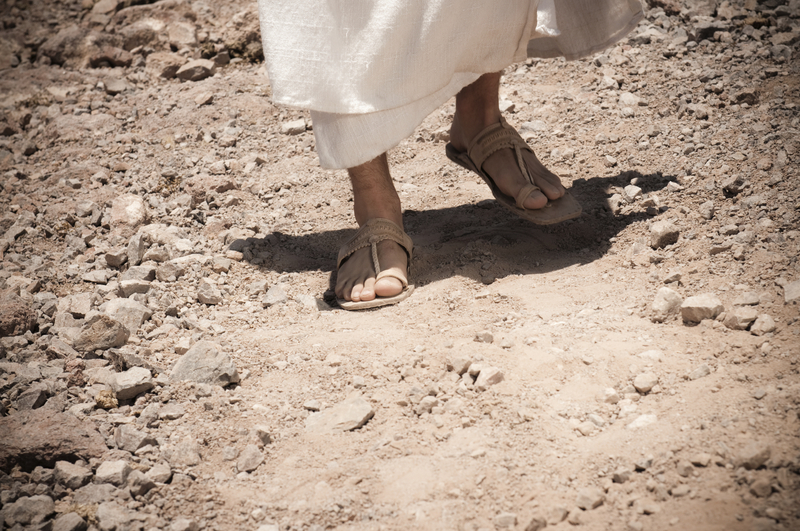 Yes, we may feel like we are in the spiritual desert, but Christ is with us as well. We are not just taking a journey through the desert; we are taking a journey that will lead us to the cross. Most importantly, we are taking a journey that shows us the resurrection. The resurrection shows us the power Jesus has. This is the same power he gives to us. We may feel as though we cannot come back to life after being in the desert and parched for water; but Jesus can and does bring us back to life. This is the great message in Colossians. Jesus Christ is central. Everything we do we should do for the glory of God. God is granting us the grace and peace to go through this life. We do not journey alone. We journey with The Creator of the universe, The Creator of you and I. This means we can experience peace beyond understanding in the midst of trials and scorching heat from enemies and challenges. God is freely giving grace to us so we are equipped to go through life and reflect the light of Jesus Christ in all we do, all we say, even all we think. You are the “holy and faithful brothers and sisters in Christ.” This is your calling. I pray God’s grace and peace will be reflected in you and through you in all you do. Let’s take this journey to explore Paul’s letter to the people of Colossae.